Marketing Plans are about somebody else; determining and accomplishing your objectives is about you. It greatly increases the odds of making happen what you want to happen, when your advisors know what you want to happen. Our proprietary Asset Allocation Profile goes beyond a typical Risk Tolerance Questionnaire. It helps us get a deep understanding of your attitudes towards money and focuses specifically on something we call Money Utility, what you want your money to do. One of our clients has substantial his and her pensions, top Social Security payouts for each, and a trust fund established by a grandparent, the income from which, by itself, would be sufficient for their needs. Another client has one moderate sized pension between the two of them, moderate and nominal Social Security checks, and never heard of a trust fund. If each of them had a $700,000 investment portfolio, those portfolios would be invested very differently, based on Money Utility, but a standard Risk Tolerance Questionnaire would not even address those differences. 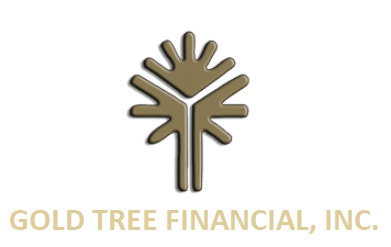 At Gold Tree Financial, Money Utility is a major consideration in designing an Asset Allocation Model, and specific strategies aimed at your individual situation will be brought into play.